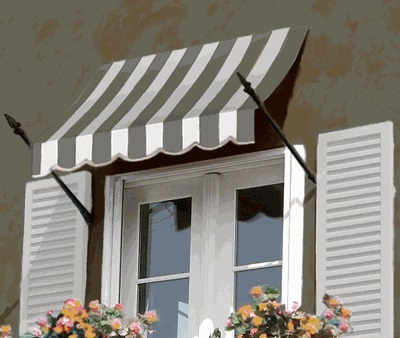 Bring a touch of New Orleans style to your home with the New Orleans Beauty Mark Window / Entry Awning. With two spear arms on either side, and the crescent shape of the awning, this awning brings a real elegant feel to your building. The aluminum frame is solid and well built, despite the fact that it is well hidden. 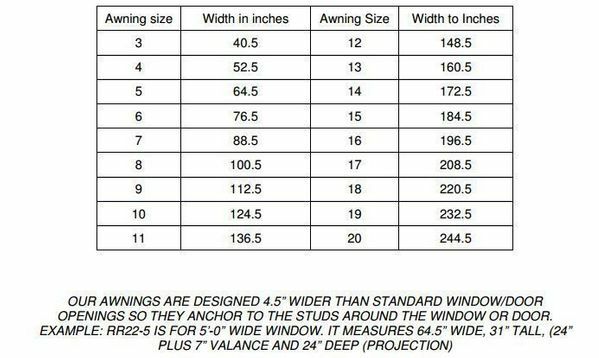 Awntech puts each awning through rigorous testing from wind to heavy objects. Combine these amazing features with a 5-year warranty and your energy bill reduction this awning will create, and you have the perfect awning. 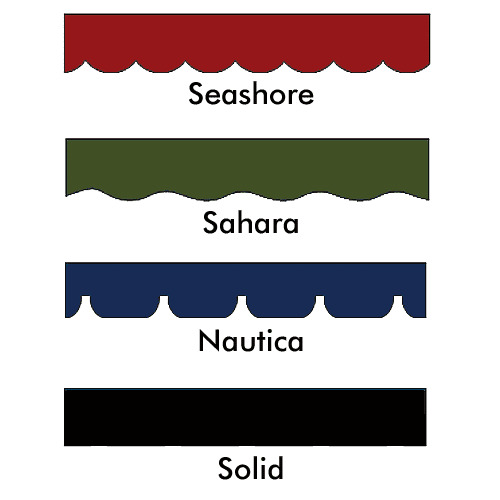 Available in a wide variety of colors and stripes, you can enjoy the awning that perfectly matches your exterior.